The Impressionist palette, no matter how wild the paintings may have seemed to be at the time, was restricted to only about a half-a-dozen colors – and the palette eliminated black altogether. It relied heavily on using complementary colors to create light and shadow instead of gray tones or black added to color to make it darker. 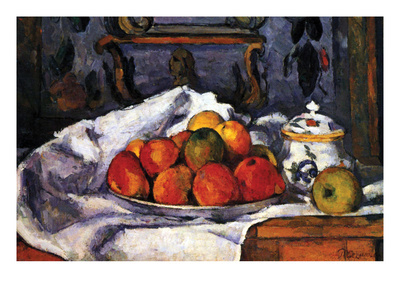 Cézanne, on the other hand, used a color system that he called modulation – and its subtle gradations in color – which required a larger range of colors to work from.